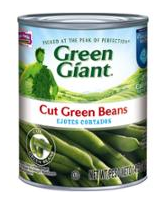 Hurry and print this $0.50 off 2 Green Giant Canned, Jarred Vegetables coupon. This will reach it’s print limit FAST so hurry! It looks like Del Monte is on sale in most of our local stores this week so you may want to hang on to the coupon for a better sale.